5 years ago my credit card declined when I was at a bar trying to buy a $5 rum and coke. I had just graduated college and was living with my parents. I’ve come a long way since then and want to share my story to help others. I didn’t have a job lined up upon graduation despite my best efforts the last few months of senior year to land everything and anything. (Tip – this is the approach I should have taken to land a job). I moved back in with my parents and spent the first four weeks of the real world draining my bank account on weekend outings with my friends. I spent weekdays at Starbucks sipping on $5 lattes and continuing to apply to anything and everything with my other unemployed friends. Together we complained about our student loans, we complained that our colleges didn’t prepare us enough to get jobs, we complained about some of our classmates who we couldn’t believe got good jobs, and most of all, we complained about living with our parents. How annoying they could be?! Always asking us where we were going and what we were doing. Finally one Saturday night my credit card embarrassingly declined at a bar and I realized I had hit rock bottom. I had known I was reaching my credit limit but still decided to chance it and buy that $5 crappy rum and coke. I had to ask “a friend” to pay for my drink. This friend was a jerk that I was trying to date but had little interest in me. It was at this moment that I knew I had to get my life together. Whenever there was a hypothetical ladder for me to climb in my life, such as getting good grades, getting into a top college, or succeeding in sports, I figured out how to climb to the top of the ladder. I had just assumed since I had successfully climbed all of the ladders in my life up until that point, that I would get and deserved a great job. Well, I was wrong. There is no clear-cut ladder to climb in the real world like there is in school or in sports. And there is no magical guarantee that graduating from a top-school will land a dream job after graduation. You have to create your own ladders. I realized that I had climbed ladders that were defined for me my whole life. It was time I created my own ladders. What do I mean by creating your own ladders? When was the last time that you started something that no one else had started already? When was the last time that you took initiative and created something out of nothing? When was the last time you did something big that no one else told you to do but you knew it had to be done? Up until that point in my life, I had never or rarely ever done that. I had joined sports teams, I had volunteered in organizations that someone else had started, I had applied for jobs, but I never thought to create ones of my own. It doesn’t take a college degree to create your own ladders. Everyone can create their own opportunities with a little bit of initiative and the internet. Whether you find yourself in your dream job or living in your parent’s basement, go out and make something out of nothing. By the end of that fall, I had woken up. I landed a temp job that I wouldn’t have considered at the beginning of the summer but was now grateful for the money it was bringing in- and I was saving every penny of it – not spending it on clothes or drinks. I went to the local library and started a gifted and talented program from scratch for elementary schools students. I even came back from the disappointment of low enrollment the first class (I had 1 student) to having 12 students the second class onwards. I called up the town high school and set up college essay help sessions for seniors. I even took vacation time to come into the school and help students since I found it so rewarding. I started an online blog about a subject I was passionate about. I spent my nights blogging away and building a little social media community. From that blog, I was contacted by a startup for an informational interview about my experience and from that conversation they asked me to join the team. I worked on the startup at night and ultimately learned new skills that helped me land my dream internship with the U.S. Olympic Committee. My resume was no longer a reflection of all the groups I had joined. It was a reflection of all the things I had created. By December of that year, I was planning my move West to start my new life. I had thousands of dollars in the bank from my temp job and more importantly, a better attitude about life. Got engaged to an amazing guy! None of this would have happened if I kept climbing other people’s ladders and blaming others for situations that I could improve myself. That is why “create your own ladders” is the most important advice I could give anyone. Readers, what advice would you give millennials? Anything you wish you had known at graduation? I can relate. Although I didn’t move into my parent’s house after grad school and it took me four years to land a job. Four years! I took every job I could find and created a few of my own. I also taught at local colleges to keep my career skills current. I must have applied to 50 jobs a year. Honestly, nothing happened until a former professor recommended me to a former student of his. Sometimes connections help even when you are creating your own ladders. Love the visual by the way. Wow 4 years! Kudos to you for teaching, taking jobs, and continuing to apply until you got something great. Also, thanks for mentioning connections! Networking and creating connections is something that I avoided early in my career but it has definitely helped me get ahead recently. Looks like you and I are on the same wavelength Millennial Boss!! I can totally relate to the lack of a “blueprint” for success post-graduation, which is also the reason I started writing about my learning through mistakes, to help others. Love what you’re doing to help young adults get ahead. Keep up the great work! Thanks! Writing about my experiences will hopefully help others who feel like they are “stuck.” I thought I was stuck for awhile too but soon realized that they were just invisible bars. Looking forward to reading your blog! Thank you! Sometimes I wonder if experience is the only way to really learn something versus being told it but maybe my post will help someone! Really like this ladder analogy. Glad you found ways to turn your life around as many stay in that phase far too long! I am about to graduate from school this August with my MBA and one piece of advice I will give is make a plan. People overlook this step because they think it is simple and I know everything. Sit down and write out your goals, where you want to go etc. It will give you a purpose. Really like this post 🙂 look forward to reading more! Great idea! Making a plan to give yourself purpose especially at a time when life can go in so many different directions is a great next step for new graduates.Thanks. I was immature when it came to spending money throughout college. I had a job but my grades were suffering and I always had a near 0 budget. My parents were just as financially irresponsible as I was so I had no help there. I got very fortunate to have a job right when I got out of school though. I had finished up my degree in Medical Laboratory Sciences and healthcare is a booming field where they are always seeking help so that saved me. In turn I finally started to get my financial life together….well about 5 or 6 years down the road but I at least had a job that paid well enough that I could be irresponsible for a little while longer until I grew up. If I didn’t get that job right out of school I don’t know where I would be. The best thing that I believe we can change from our past mistakes is to pass along our knowledge to the next generation. Which this post does a great job of! Totally! Good for you for picking an in-demand career early on. That was another lesson for me. I ultimately switched to tech which has made it easier to find new high-paying jobs. Although, I’m glad not everyone thinks this way though or we would lose all of the creatives in the world. Just from this post I got a good sense of the development that you have gone through to become the person you are today. Great tips that you mention. In most situations in life, we create our own luck. Great job for making your own life. That drive will help you for the rest of your life. This is just great and timely. A lot of newly graduates don’t really know what to do and a lot of them won’t get a job after school. Your advice is the best that I’ve seen and heard quite frankly. Newly graduates are too fixated in getting a job that they forget there are alternative ways to making money or making a living. I know a couple of people who decided to start their own businesses even when they have offer from other companies. I have to say that sometimes, aside from creating something out of nothing, it’s also good to take risks. Risks can be detrimental or beneficial. If I were to give an advice to newly graduates, I would say that they need to always be positive no matter what is going on in their lives. It’s easy to get discouraged especially when these people aren’t landing any job. But they should remain positive and continue to try. All it takes it’s a good opportunity to help them start with their career or any endeavor they may have in their lives. Great points about staying positive and taking risks! Taking risks can be scary but so worth it and necessary. My favorite quote is 100% of the shots you don’t take, don’t go in and I try to live by that. Great advice and well done you for creating your own ladder! 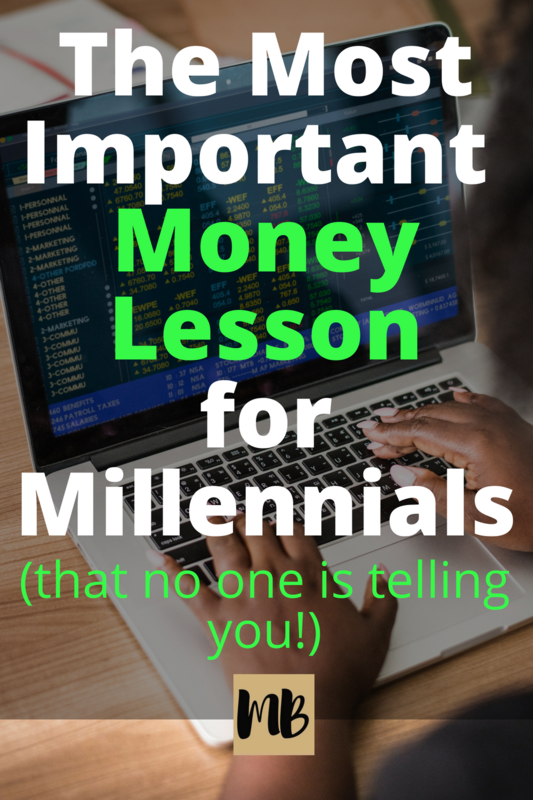 I am about to graduate and already have some side hustles of my own – no use in sitting around waiting for the opportunities to fall in my lap. Good for you for getting started in college! Best of luck with the side-hustles! I’m sure it will work out great for you! This explains what I went through so well. I thought that just doing well in school meant that I somehow deserved a good job, or just overall success after graduating. I should have spent so much more time on networking than I did! I completely agree about networking! I remember I went to a few networking events through my summer internships and had no idea what to do or who to talk to. I’m much more comfortable in those situations now! I can’t imagine the stress of not having a job at graduation. I was fortunate to have something lined up and that really took a lot of the pressure off, especially with the sheer size of my student loan. But I think you make a great point…we spend so much time waiting for a path to success to appear. The reality is that we have to be intentional and blaze our own trail to success. Intentional is the perfect word choice! Getting a plan, any plan, and executing is key. Great post, while I do agree that it is important to create opportunities for yourself to be in a better position to succeed, I don’t agree that anyone will create anything new in this world. Starting something that no one else has created I don’t think exists, for example, before Facebook existed, letters were used for communication, before that, body language was used, and so on. Appreciate hearing about your story, however and keep up the good work! Very interesting perspective! Never thought about it that way! I took me 5-10 years to learn many of the lessons you pointed out! I am finally out of credit card debt and will have my car paid off in a few months! The number one thing I’d have a college graduate do is start and maintain a budget. INTENTIONAL spending is SO important! Congrats on making such great progress on your debt! I was thinking about this today. I’ve been looking for a job for like 4 months and it’s like I’m not enough for any company. Really frustrating. But that’s over… I will starting to create my own ladders! You got this! Don’t let rejections define you.